Let’s just do a quick eatsploring update of the stuff we’ve been up to (Baked Treats, Good Eats by Delivery Baguio, Baguio Eatscursions: A Menu Guide, and Foodievents) so I could rest easy that I’ve got you up to speed on all things that have to do with munching and crunching in Baguio City, food trip city. Nothing like rain, rain and more rain to make us want to eat, eat and eat some more. So we ordered some pavlova from Le Cheri. P180 for box of six meringue beauties topped with fruits of the season. Years after Ms. Mariz, whom we met at La Casita fine dining restaurant at Heritage Hotel opening, told us about it, we finally get to check it off. 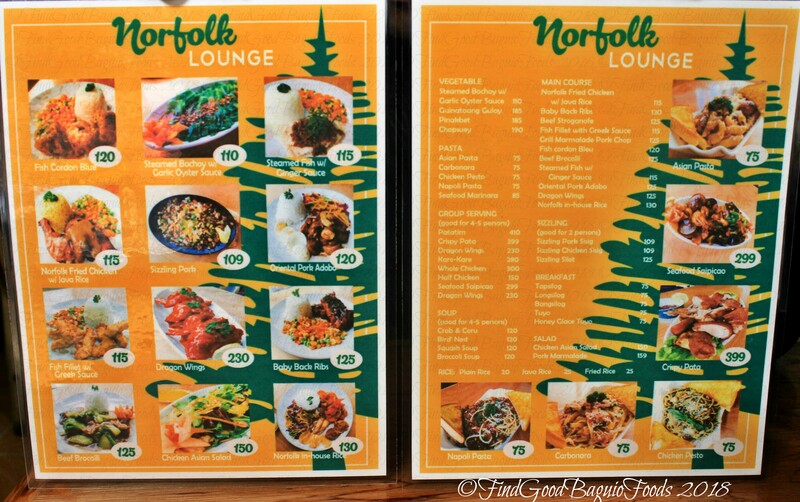 The old Country Diner in Baguio became Norfolk Diner when they moved to La Trinidad, with more selections of mouthwatering eatables. Just in case you didn’t hear the news yet [News like this spreads like wildfire because everyone loves a bargain … that’s according to the bad guy in Hallmark’s Arabian Nights, Aladdin. Who went from♪ ♫ riffraff, street rat ♫ (that’s Disney‘s line) to one of the Crazy Rich Asians. *taha], a store that’s worthy of being dubbed one of my happy places for its “PX goods” for cheap. It’s not just heaven for people with sweet teeth. (Though don’t miss out on the most luscious leche flan ever in their fridge display case in your panic buying of Hershey’s, M&M’s, Timtams, Pringles, Cadbury, etc.) They also have savory selections from local Philippine brands #SupportLocal … courtesy of Food Crafters (hotdogs, negosyo pack siomai – P120 for 60 pieces *nomnom the beef one \m/) and Golden Nachos (250grams package for P50). So much info in this article. I think the brightest gem from all your finds here is the Villa Romana Flower Cafe. Are the flowers around the cafe real? I love dining out and I really appreciate your blog showcasing newly opened restaurants in Baguio. Thank you Find Good Baguio Foods. We went to Ongkoleyt after seeing your post. Goodbye diet. We came home with so much sweets. Thanks for your blog. 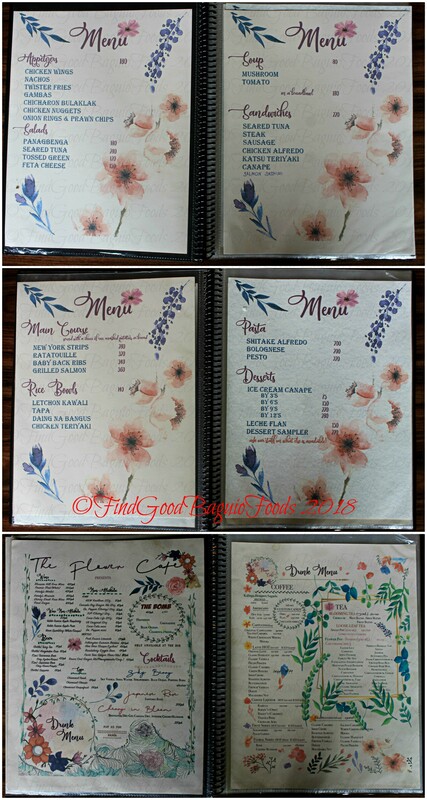 The Flower Cafe at Villa Romana is located at 307 Ambuklao Road, Tiptop. For real, flowers EVERYWHERE. ^^, It has a purpose, it makes the place brighter. We’ve seen that dining area before it was Flower Cafe and the flowers make a huge difference. You have returned. Where is Pig Cup located? Well go to Flower Cafe first. Yan pala nakita namin nung pumunta kami ng Arcas. Thank you, Find Good Baguio Foods. Youre the best. Hello, Lina! 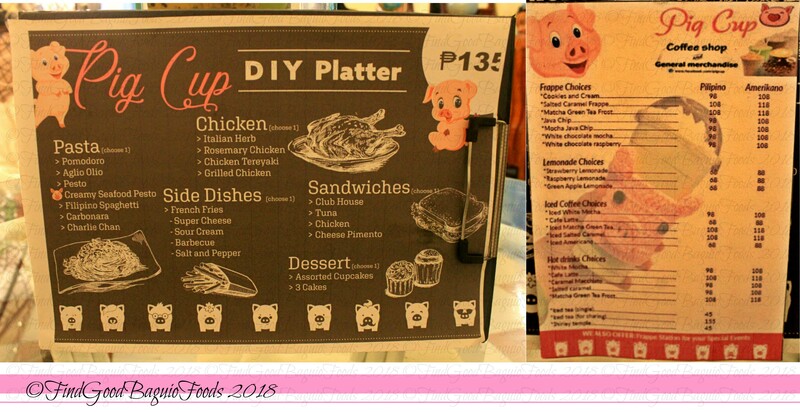 Pig Cup Coffee Shop is located at #2 New Lucban, the same building that houses Minute Burger. I hope you have a great meal time both at Pig Cup and Flower Cafe at Villa Romana Hotel whenever it is you come visiting.